The Leviathan Raid is undoubtedly the hardest of all the online game modes in Destiny 2. However, the rewards are definitely worth the fight. The Leviathan Raid is one of the biggest events in Destiny 2. When playing in the Leviathan Raid, only six players can fight as a team. This is considered one of the most difficult events while playing Destiny 2. 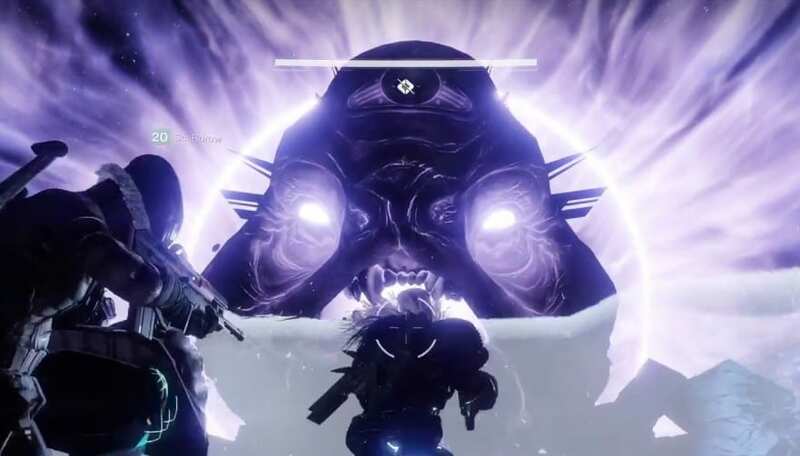 Like any other raid, there are multiple bosses that the guardians must fight. Each boss then also has their own mechanics as to how to beat them. Having some difficulty? No need to worry, here’s a comprehensive guide that can help you pull yourself through the Leviathan. While this may be difficult, the loots are worth it. Looking for those Legendary Engrams? This is the best place to farm it! Players must have a power level between 260-280. The bosses are that strong and if you take a hit with a power level lower than that, you’re dead. Looking for a way to quickly level up to Power Level 300? Here’s a guide to help you with that. If you have the Rat King or the Skyburner’s Oath, bring it. The Rat King‘s power increases the more Rat Kings there are in the vicinity or in the team. Skyburner’s Oath deals extra damage against Cabal enemies. Even if the Cabal is a Phalanx-type, the Skyburner’s Oath will deal extra damage to them. When going through the Leviathan Raid trials, each of them have their own strategies. Each of them also have their own mechanics. Below are each of the trials along with some short-cuts to complete them. The main mechanic for this part of the Leviathan Raid is to defend and eliminate Standards. The players can split into two teams of three: one team will defend their standards and another will eliminate the others. These must be the players with the highest DPS. The difficulty increases the more Standards they kill. Along with the Standard Liberators, there is a creature known as the Councillor. If you remember, there is a similar creature that casts shields. The Councillor is top priority as he can shield his allies if you’re not looking. Steps off on the right side. To kill the Councillor, sprint towards them and shoot them while within the dome. There are two ways to go around this: one is to have all three surround their standards. However, there’s another way in which two defend the Standards while one has to call out where the Councillor is. Doing the second method will give players a better chance of neutralizing the threat immediately. The best class for this may be the Arcstrider or the Voidwalker for both damage and speed. Don’t be afraid to spam supers, grenades, and specials – the enemies drop a lot of Orbs of Light. For the attackers, the best players for this role are those who are capable of skirmishing well. These are also the players who have high mobility and a balance between sustain and attack. As players hunt down the Standard Bearers, they’ll drop a Standard which they need to bring back. One suggestion is to bring a Titan class who can defend the runner as the player places the Standard back at their area. The player who’s good at jump puzzles ought to be the one to take the role of being the runner. Repeat this strategy three times after which you’ll end up back at the start point. Then, a door will open to another pathway which players will find a chest. Inside, you’ll find one of the first Leviathan Raid loot chests that contain a Legendary Engram and a Calus Token. Unfortunately, you’ll also repeat this part of the Leviathan Raid a few times over but with different positions. For this part of the Leviathan Raid, you’ll have to take note of the Revive system. While players have a revive system, be aware that if one player finishes the 25 countdown and isn’t revived then the whole team wipes. However, players only have a single revive token which refreshes only after everyone wipes or after a checkpoint. The mechanic for this getting something known as the Psionic Buff. However, to obtain this, players must stand on one of the four pressure plates. There are four pressure plates with a fifth one being in the middle. Split the team into two groups of three with two being on one plate each while another is running around and assisting those who have fallen. On the fifth plate, players can grab the Psionic Buff while hitting down the golden chains while standing on the plates. Clear the mobs at the middle of the room. That’s where the Psionic Buff is. Attackers: Step on the plate and grab the Psionic Buff and begin taking out the purple lanterns. Defenders: Slaughter the incoming mobs and the Ceremonial Bathers. Throw a grenade that deals damage over time to make it easier to chew them out. After the buffs wear off, a Councillor will spawn. Kill him immediately. After that, roll this a couple of times. Whatever you do, keep calm. 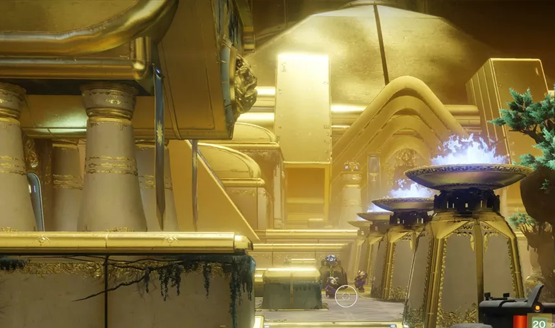 When you’re done with this part of the Leviathan Raid, you’ll finally get the second Leviathan Raid loot chest which drops Calus Tokens and Exotic Drops. Remember the first trial for the Leviathan Raid? Do it again and grab the Leviathan Raid loot chest waiting for you. Kill the incoming mobs until you reach a statue. Two players grab the orbs while the others grab the Pollen. Orb holders must guard the players holding the pollen. Once they reach the flower, shoot at it in order to charge up power. When charged, players with the pollen must shoot at the Royal Beast which will result to the countdown. Royal Beasts should be killed as quickly as possible. With that, you should finish this part of the Leviathan Raid. Then, you’ll get your Leviathan Raid Chest rewards along with some Callus Tokens. Well, we’re here again. Remember the first trial for the Leviathan Raid? Do it again and grab the Leviathan Raid loot chest waiting for you. For this part of the Leviathan Raid, players need to keep their communication lines on. Players need to shoot the triangles while avoiding the red circles. Leap onto the platforms and kill all the enemies spawned. The players must fill up a meter by killing enemies. After the enemies die, two orbs appear. Two members of the fireteam need to grab the two orbs before being teleported into an area that shows gates with rows of circles. The runners need to yell through the comm which gates have a red circle. After that, the other team must shoot out the triangles on the gates that do not have the red circle. Keep doing this until the two orb-bearers can throw their orbs into a fountain. After that, repeat steps 1-4. When finished, the whole fireteam can grab an orb and fling it into the fountain to finish this Leviathan Raid trial. After the final trial, players will have to fight the final boss of the Leviathan Raid: Emperor Calus. Shoot the cup out of his hand first to begin the fight. After losing at least 25%~33% of his life, he’ll transport three members into another realm where they fight a projection of Emperor Calus. This is where things get tricky: the three members fighting in the throne room must avoid Psions marked with a symbol. Players in the other realm will call out symbols which the players in the throne room must hit the creatures with the symbols that are not called out. After damaging it, the shield will go down and players can damage Emperor Calus. However, the projection will soon unleash a barrage of projectiles in which the players need to kite around. After that, race for the Force of Will buff which will allow you to deal heavy damage against Emperor Calus. Keep doing this and when you kill them, you would have finished the Leviathan Raid!